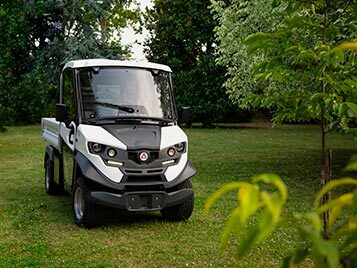 When you are in the process of buying a new electric UTV you should always keep in mind its tech specs, high quality standards, and price. 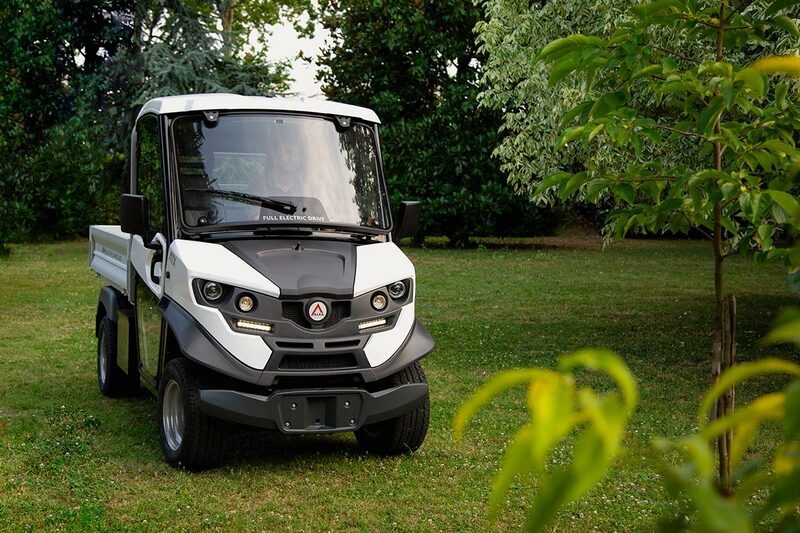 Our Alke Electric UTVs are 100% made-in-Italy and designed to sustain the most demanding conditions and still being able to carry up to 1,630 Kg and tow up to 4,500 Kg. 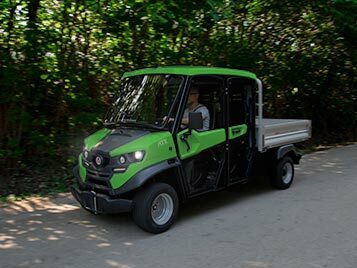 Why choose Alke' electric UTV vehicles? 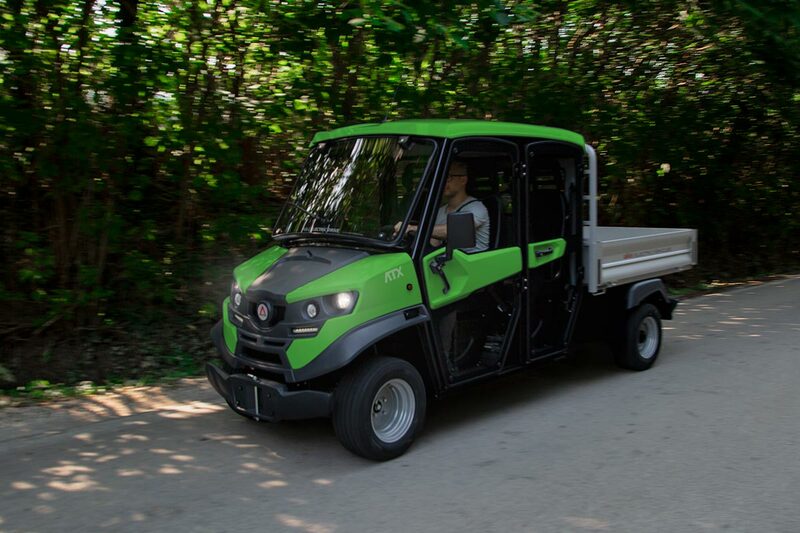 Alkè electric utility vehicles combine silence and zero pollution to a real working capacity. 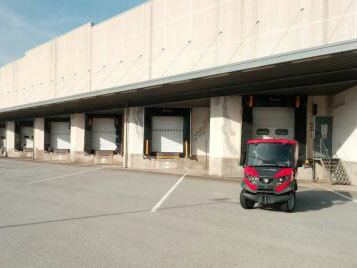 It is not by chance that a growing number of sectors are starting conversion procedures of almost their entire fleet of vehicles to high performance electric UTV such as the ATX E. It makes a real difference being able to move and operate without limits of time or space within residential areas, tourist structures, parks and golf clubs, just as, with Alkè airport vehicles, within civil or commercial airports, without disturbing visitors or operators residing in these areas. 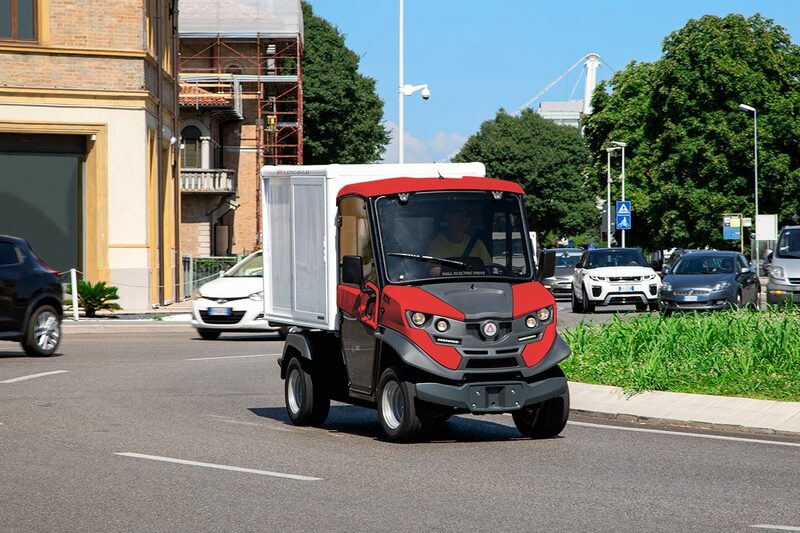 These electric utilitiy vehicles have AC motors with very high torque and smooth distribution which prevents skidding and loss of grip also on high risk land-types (sand, snow or ice) and guarantee start-up in ascent without hesitation. 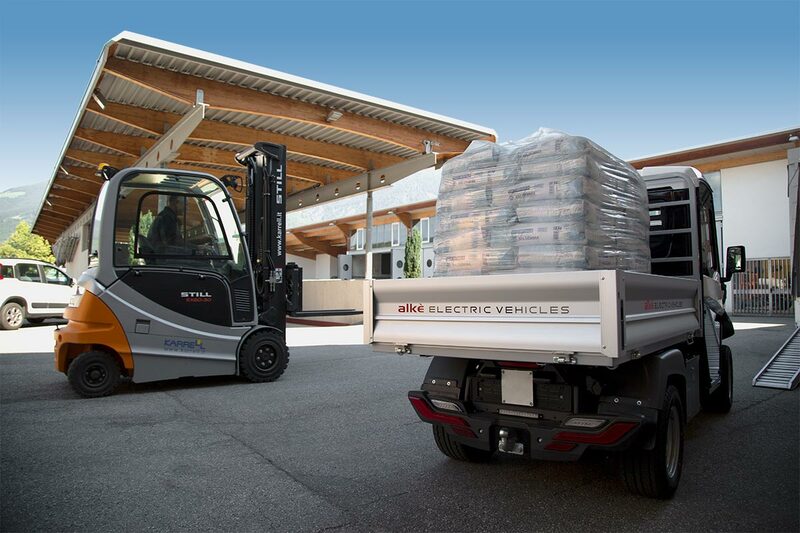 Thanks to their special motors and CURTIS controllers, the ATXs raise the power, if necessary, by 8 kW nominal to a peak of 14 kW to allow operations even in the presence of uneven land and 35% slopes. 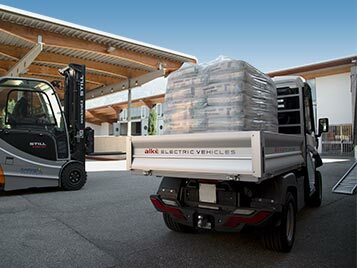 The range on standard routes is up to 150 Km, which corresponds to an entire working day even when many repeated stops are required for frequent load-unload operations. 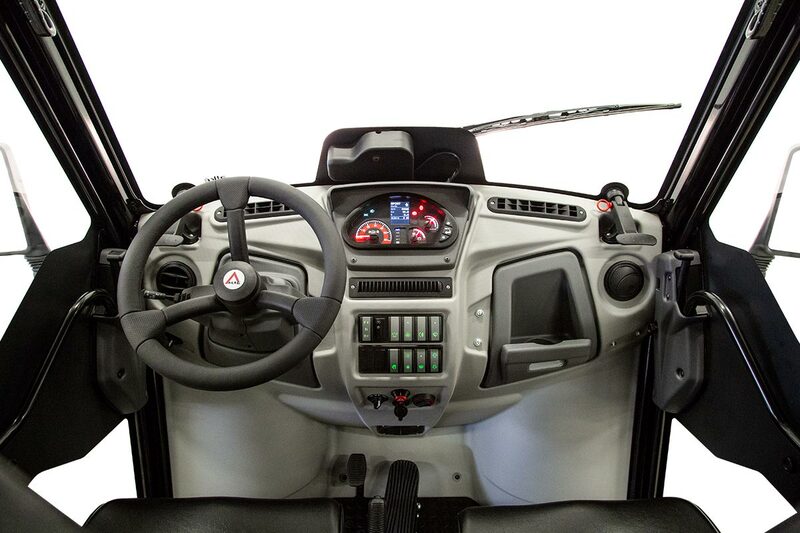 The Alke's UTV cars have a regenerative brake system, which in the stopping phase prevents all waste of power and wear of the brakes. 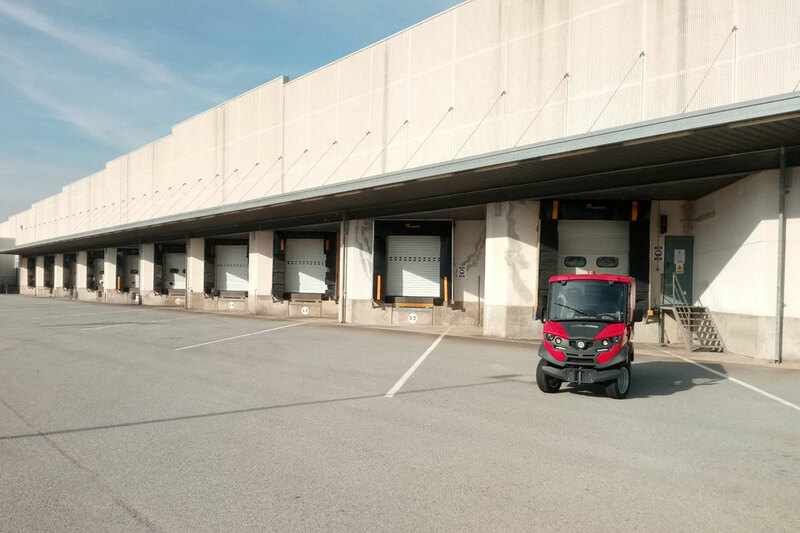 The complete re-charge of the battery set, normally carried out during the night, takes place using the high frequency battery-charger present on the machine, this means it can be connected anywhere there is a common mains socket without being restrained to fixed bases. 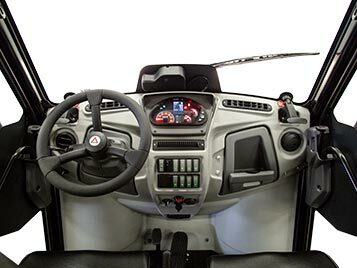 If you want to customize your electric utv vehicle as much as possible, you can choose from hundreds of configurations and accessories. 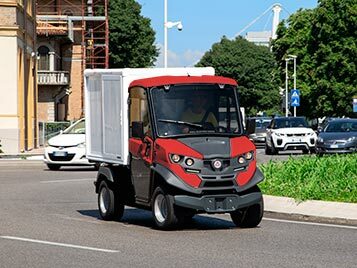 Configurations most requested are: dropside body, mesh sides extension, box van body with sliding doors, tarpaulin body and waste collection body. 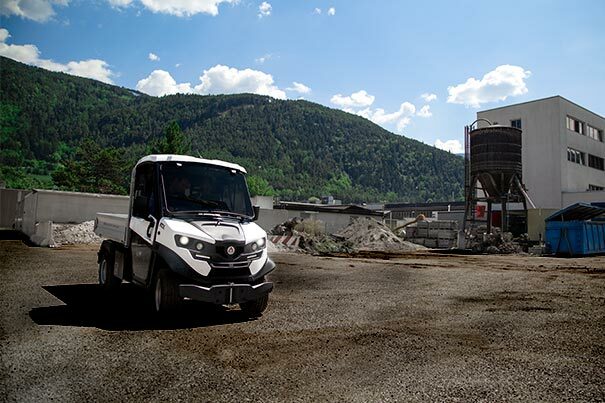 There is also the possibility to combine two modules with COMBI configurations, combinable modules to allow multiple tasks to be carried out jointly in a simple and fast way.